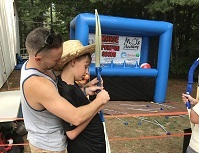 ECW Week’s newest activity, Safe Archery, provides campers of all cognitive and physical abilities an opportunity to enjoy an archery experience like no other. Arts & Crafts offers loads of projects at many levels to meet your camper’s abilities and dexterity. 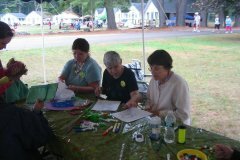 Campers can make art projects with paints, markers, crayons, beads, gimp, material and so much more. Campers can also work on specially-made wooden projects. 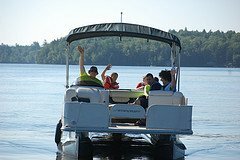 With camp located on Lake Suncook, boating is a favorite for many campers. We have a small speed boat which seats six. We also have a catamaran known as the “Party Boat” which accommodates all campers including those in wheelchairs. One night during the week, each cabin attends a camp fire for a sing-along and s’mores. 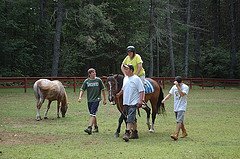 Our horses are gentle and riding is staffed by a team of strong young men who will help your camper onto a horse if they want to ride. There is a wheelchair accessible ramp, built by EC Week volunteers and funded by Friends of Fatima. It is in place to bring campers level with the saddle and anyone who rides wears a helmet. Some campers don’t want to ride, but feeding the horses with an apple or carrot is exciting, too. While we welcome campers and volunteers of all religious denominations, Camp Fatima is a Catholic camp. 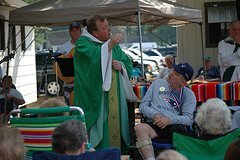 We celebrate Catholic Mass every day in outdoor settings around the camp grounds. Campers are encouraged to participate in the Mass whether singing in the folk group, bringing up the gifts and/or doing readings. Priests are also available throughout the week for spiritual guidance if requested. Our Rec Hall offers a myriad of activities for campers at all levels. 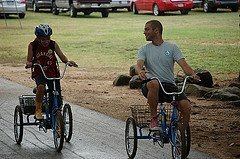 We have Wii bowling, miniature golf, puzzles and games, tricycles and all sorts of fun things for campers to enjoy with their counselors. Always with safety in mind, campers enjoy our riflery range using bb guns and aiming at a collection of simple targets such as old cans and balloons. 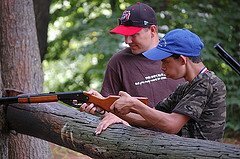 There are staff sharp shooters on hand at all times to assist the campers and their counselors. The Sensory Zone, also funded by Friends of Fatima, is our newest addition to camp. 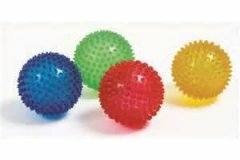 It offers sensory stimulation for campers who would benefit from this interaction. This tactile system processes input from the sense of touch. It is a therapy of play that offers fun for your camper. Each evening we gather as a camp to enjoy an interactive and entertaining production of the year’s theme. 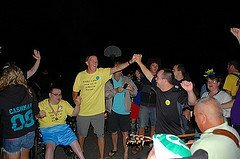 Many evenings campers get the opportunity to perform as extras if they are interested and so choose. Lake Suncook provides a great environment to swim. 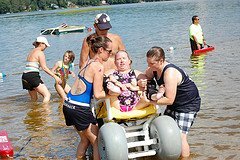 For those campers who need extra help to enjoy the water, we have inflatable boats, big wheeled chairs that can go into the lake and plenty of waterfront staff available to help lift and life guard.